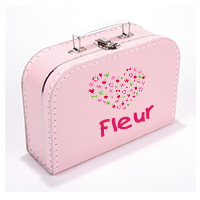 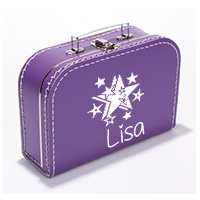 Personalised printed suitcases with your own name and/or an image! 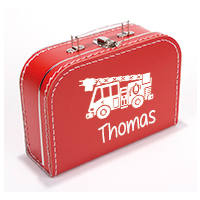 A great original gift for birthdays and Christmas! 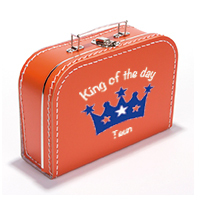 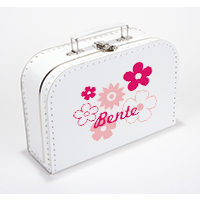 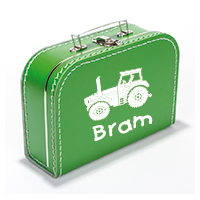 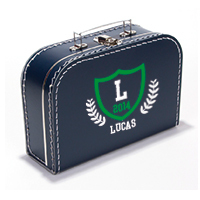 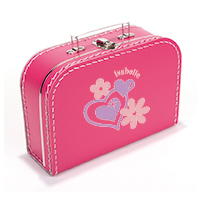 Our mini suitcases are great fun for holidays, going to school or for using at home! 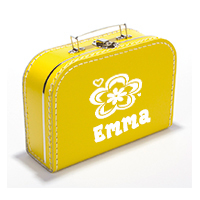 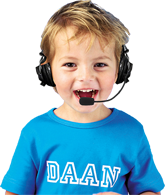 You can personalise the case with a name, your own text and/or an image, or one of our fun name logos! 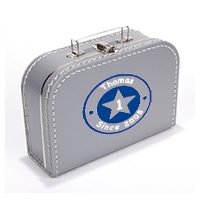 With a choice of 12 different colours, for both boys and girls, the case can be as personal as you like. 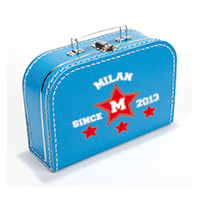 These nostalgic suitcases are always fun! 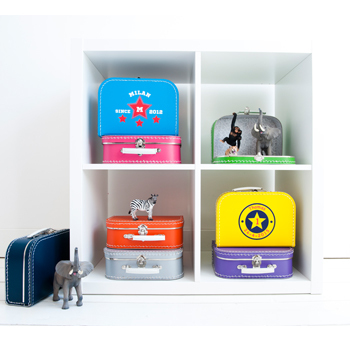 Making them a perfect original gift. 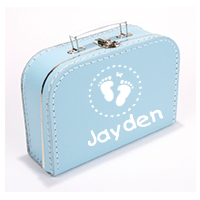 A light blue or pale pink suitcase with the name of a baby or if the genders not known, a neutral grey, white or yellow suitcase is perfect!